As an attorney, you need to focus on building the best possible cases for your clients. That means you need to spend your time looking for evidence and constructing your argument, not dealing with case files and other documents. When you outsource your court reporter services to a local transcriptionist, you’ll save your firm time and money. You’ll no longer have to worry about maintaining in-house employees to court report, organize, and manage important court documents, and neither will you have to worry about juggling these duties yourself on top of your already overwhelming workload. Our local court reporter in Boston, MA services are convenient, reliable, and easy to use. Our court reporter services ensure that your legal team has a high level of access to needed documents at all times. Your documents will be available at all times and in a range of formats, including digital copies for easy round-the-clock access. You need reliable court report to make sure you get accurate court information and have access to the latest evidence. 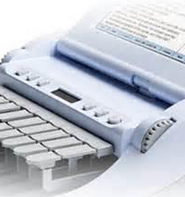 Court Reporters are vital to building and strengthening your case. With our reliable local court reporting services, you can get text court reportings of court proceedings, testimonies, witness statements, sessions, and other important events for reference now or in the future. Our reliable, professional court transcriptionists are capable of handling all kinds of documents and information sources in a legal context. We’re familiar with legal terms and jargon, and can provide the court reporter and other documents you need quickly. A reliable local court reporter in Boston, MA can take the hassle out of handling out-of-state depositions, organizing a videoconference, or rounding up an interpreter. You’re more than welcome to customize the level of services you receive. In additions our court reporters offer video depositions, legal videography, teleconference depositions, videoconferencing, and certified interpreters. Pick and choose the services your firm requires. We can provide same-day service for many of your court reporting needs. Keeping court reporters on staff can get expensive for your firm, especially because your transcription and reporting needs will vary on a case by case basis. Outsourcing your court reporting needs to a reliable local transcriptionist solves this problem. Our services are completely scalable, so that you only pay for what you need. Call Copley Court Reporting, Inc. now and learn more about the services we perform. in Boston, Massachusetts or Providence, Rhode Island.